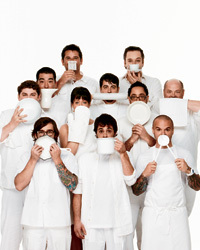 F&W is thrilled to introduce the Best New Chefs of 2011—incredibly talented people who are moving food forward in this country. Here, the winning chefs, plus easy, creative dishes from each. One is a Peruvian native whose first cooking job was at Benihana; another is a Top Chef star; two more are a team from Salt Lake City who combine a love of foraging and a passion for seafood. 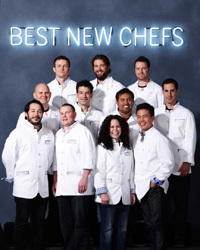 The Best New Chef 2011 winners have very different backgrounds and cooking styles that reflect the amazing diversity in the restaurant world right now. 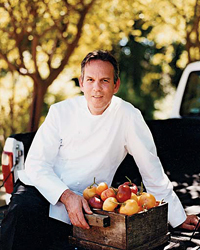 Yet they have a few things in common: They've all run a kitchen for no more than five years, and they all blew us away when we traveled around the country to taste their outstanding food. 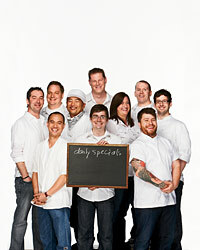 The Food & Wine Best New Chefs for 2011 share their stories, reactions and recipes.